Here at High Country Arts the holiday buzz is going! 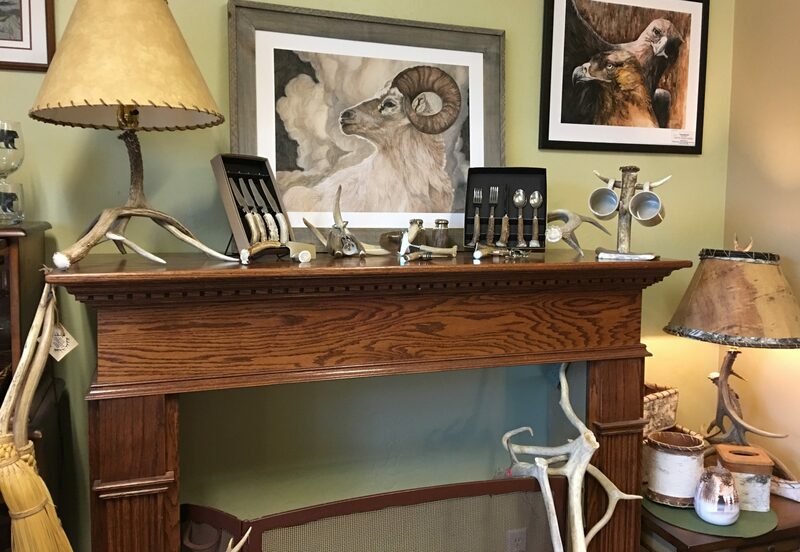 From barware to beer tappers, cribbage board games to fireplace iron sets, cheese utensils to salt & pepper shakers, knives to cake serving sets…we have it all! Are you looking for a totally unique, one of a kind gift? Each naturally shed antler is as unique as a snowflake! We hand carve each antler to pure perfection and match it up with top quality handles and more. We are able to customize many of our beautiful products with initials, names and logos. Get in touch! Let us help you make the holidays memorable!